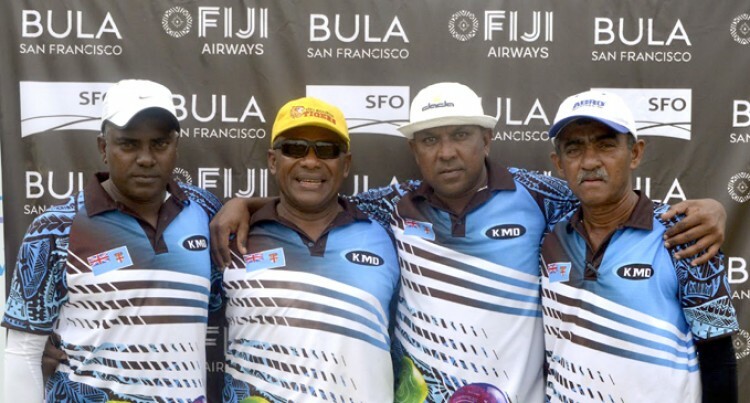 Fijian Men’s bowling team took out the 4th Fiji Airways Open Fours Bowling Event at the Nadi Sports and Social Club yesterday. The side laced with the services of Arun Kumar, Semesa Naiseruvati, Rajnesh Prasad and Kushal Pillay beat Suva Suruwa 23-7 in the final, which ended in the 13th end. Suruwa had the services of Ramesh Prasad, Dewan Chand, Suren Prasad and national rep Wise Senibici as they did not gave the match easily. Fiji Men’s captain Arun Kumar said they played well in the two-day competition. “It was a good competition and was tough as well especially in the semi-final but it was too easy in the final,” he said. Tournament ograniser Sitiveni Tikoisuva thanked the players for increasing the tempo of the competition. He said the national team did face an interesting challenge but it was unfortunate for the Fiji Women’s side for not progressing from the quarterfinals. RESULTS: In the first semi-final, the Fiji Men’s team edged out Samuela Tui’s Botswana 19-18 in an extra end. Suva Suruwa proved too good for Fiji Airways Airbus 20-17 in a pulsating encounter. Quarterfinals: Botswana beat Santok Singh’s Williams and Gosling 21-14; Fiji Men beats Sai Walker’s Fiji Women side 21-13; Nadi Kombat lost to Suva Suruwa 21-19; Fiji Airways Airbus was too strong for Geo Tech 27-14.